At Stay Roasted, we want our community to enjoy shopping and saving with us for years to come. 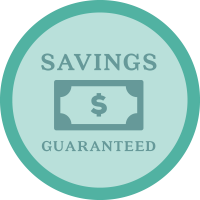 That’s why we guarantee your annual membership will pay for itself in savings. That’s not all. If you ever have questions about your coffee, need assistance, or aren’t happy with your experience—contact us! One of our dedicated team members will do everything they can to make sure you’re satisfied with your Stay Roasted membership. * Savings totals are based on the difference between the estimated retail value including shipping costs of comparable coffees of similar quality, available online from other premium brands and marketplaces, and the actual price of purchase on Stay Roasted. ** Savings Credit will be in the form of Stay Roasted Store credit which will be automatically applied to your coffee deliveries. Stay Roasted Store credits don't expire. *** To be eligible to receive the benefit of the Savings Guarantee, you must renew your annual membership.